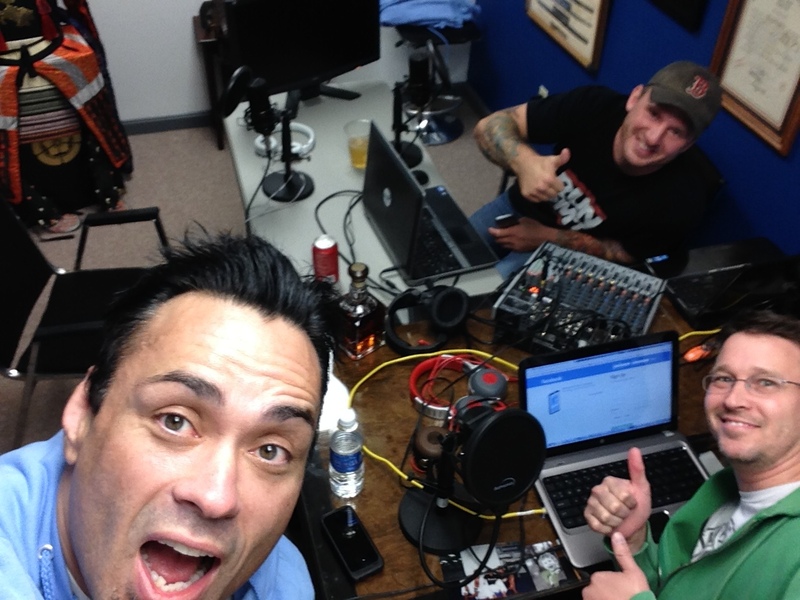 Just hanging out with Mr. Rubber Guard himself Eddie Bravo and Josh Jackson. 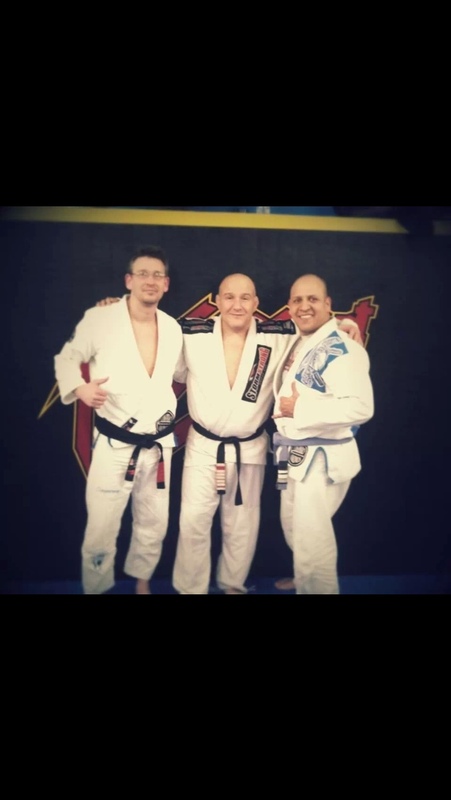 For anyone who is reading this and not into Brazilian Jiu Jitsu shame on you. 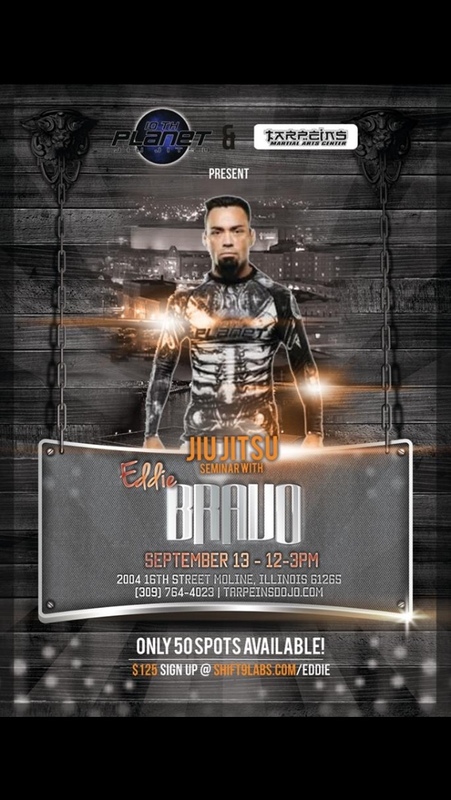 If you have not heard of Eddie Bravo, grab your google and look him up after reading this. 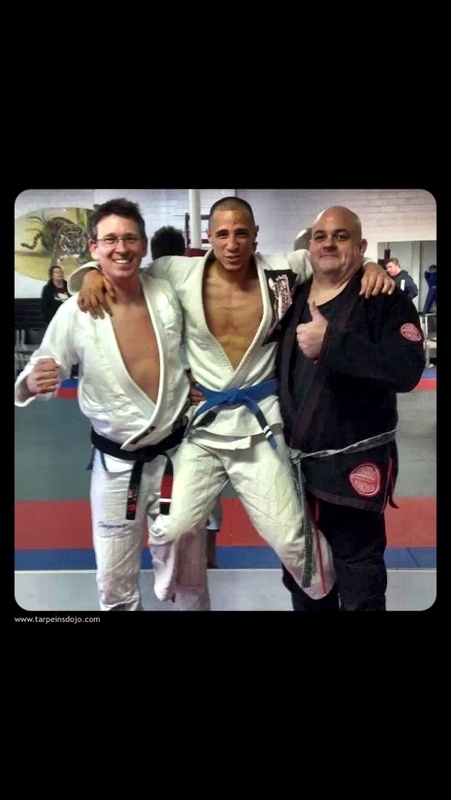 For all out here in BJJ land that fall into the same category as myself here is my experience with Eddie Bravo and his seminar at my academy Tarpeins Dojo. (10th PlanetJJ) No small task to say the least. We started off the Friday night in the academy talking shop. 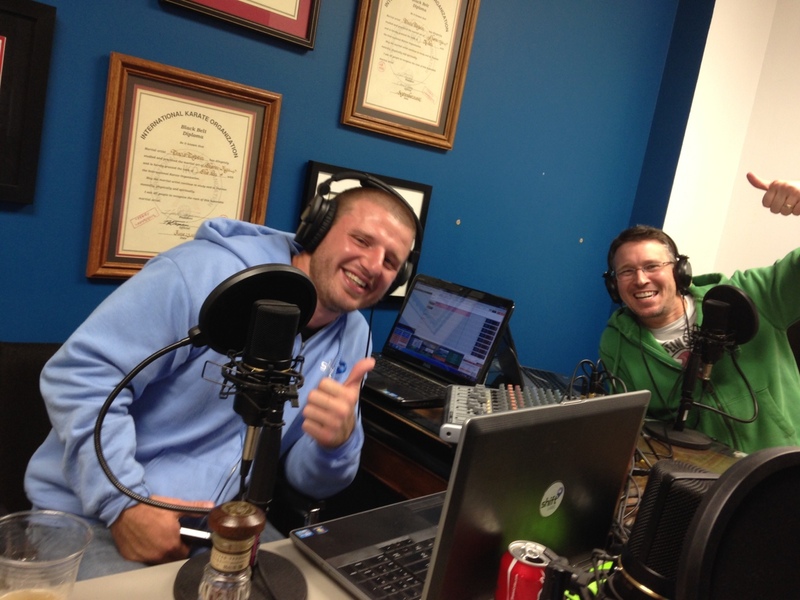 Eddie agreed to do the podcast we do, IDP – Information Disclosed Project. We quickly started talking about metal and great and not so great metal band of the 1980’s and 1990’s. Eddie asked “you’re a metal head?” And it was on! My friend Josh, jumped in and had great questions for Eddie as well and the show went by so fast it was crazy. Josh, Eddie and myself chatted about all things conspiracies and did a new segment on the podcast of 20 questions rapid fire answers. For the record Eddie said Moon Landing – did we go and land on the moon true or false. He said false! So we tosses several more at him. It was a blast to do 20 questions. Seminar day – it’s a full house the mats are full and Eddie starts the seminar talking about flexibility and just a small fraction of rubber guard techniques. I am not going to talk about the series of techniques he taught, but more of the the day. If you have not been to train with Bravo you need to. It’s very easy to see why he has a great following and it’s because the guy is a world class grappler and fantastic instructor. 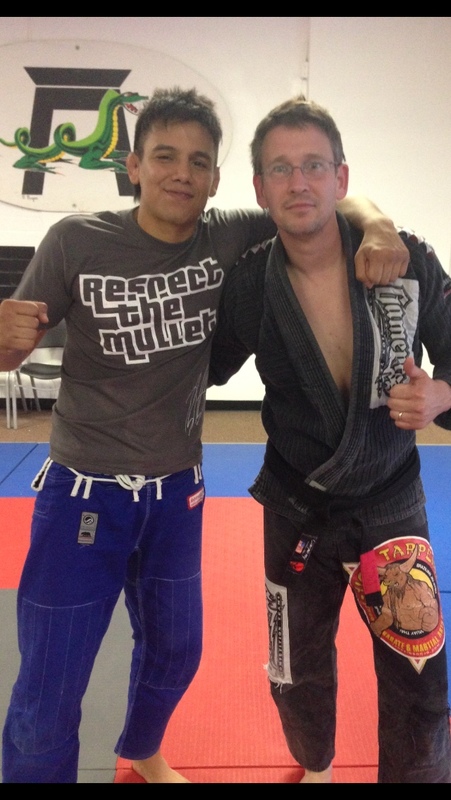 He is funny, witty and keeps things simple as far as truth in what he is doing with his style, 10th Planet JJ. I watched him teach and I watch him interact with all that were in attendance for the seminar and Eddie is very personable. When I see instructors like this, that are this good at teaching , it makes my try harder to be a better mentor, instructor for my academies and students. 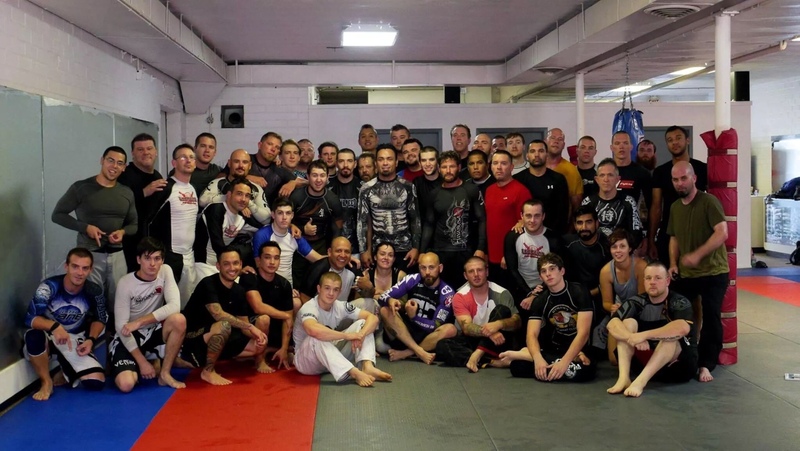 After 3 hr of BJJ with a group of 60 students or so, and the leader of the day Eddie Bravo the seminar came to a close. He was rushed to get to the airport, but he still took the time to take a picture with every student that was there that day, and sign books DVD’s and anything someone asked him to sign. To say the least Eddie is a great guy and a class act all the way around. Eddie if you read this, thanks again hope to have you back! 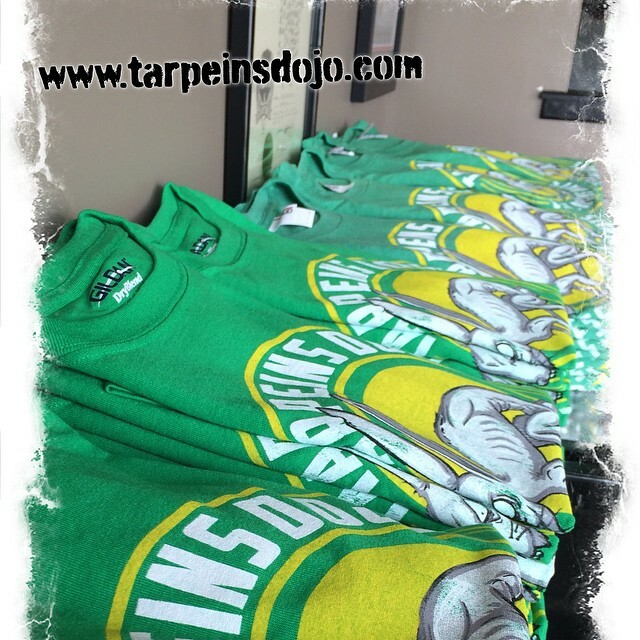 New year of the rabbit shirts are now on hand. Pre-orders can pick up right now. All this happened this year or will with in the week. 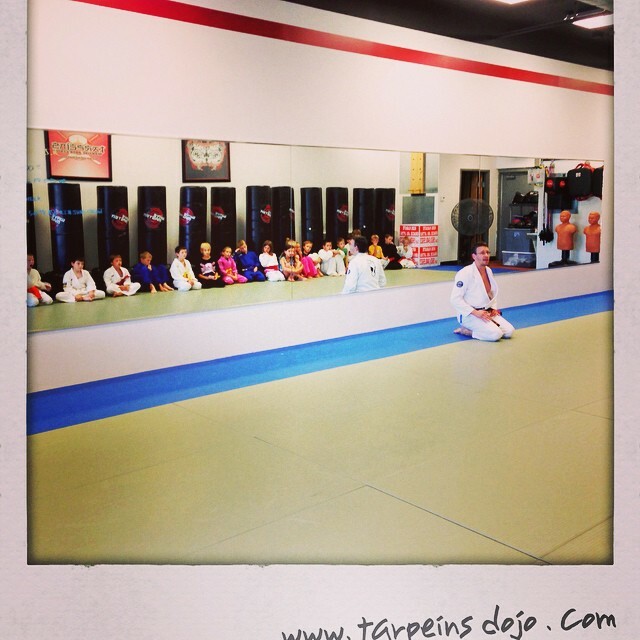 Great year for Tarpeins Dojo – thinking about the next year already.